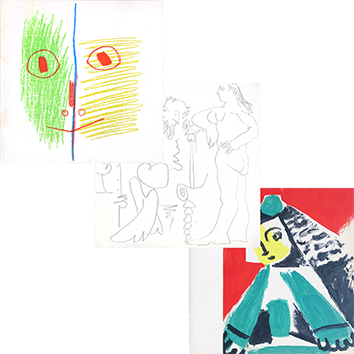 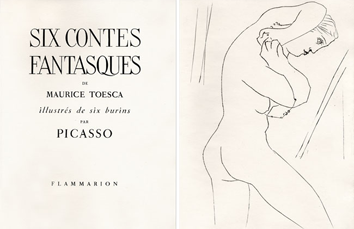 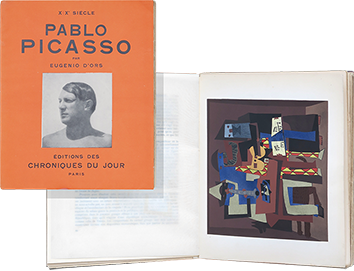 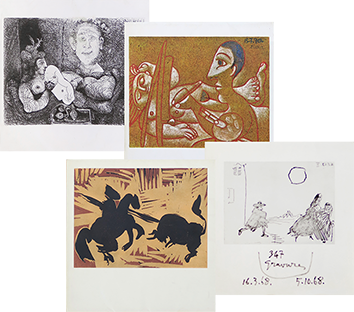 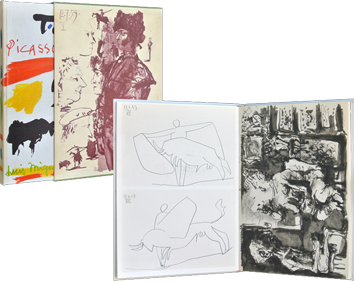 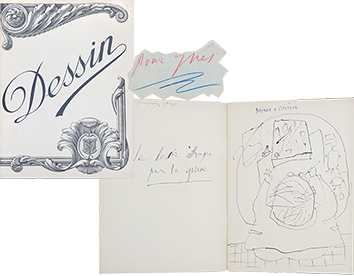 Pablo Picasso Jonquières Publisher, Paris In-folio (38,7 x 29,2 cm), in wrappers printed on the front and rhodoïd dust jacket ; board folder and slipcase with printed labels on the spine of the folder and the front of the slipcase. 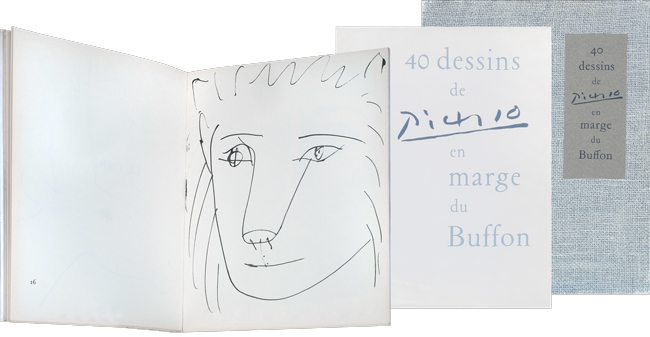 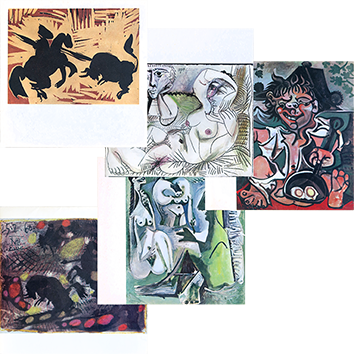 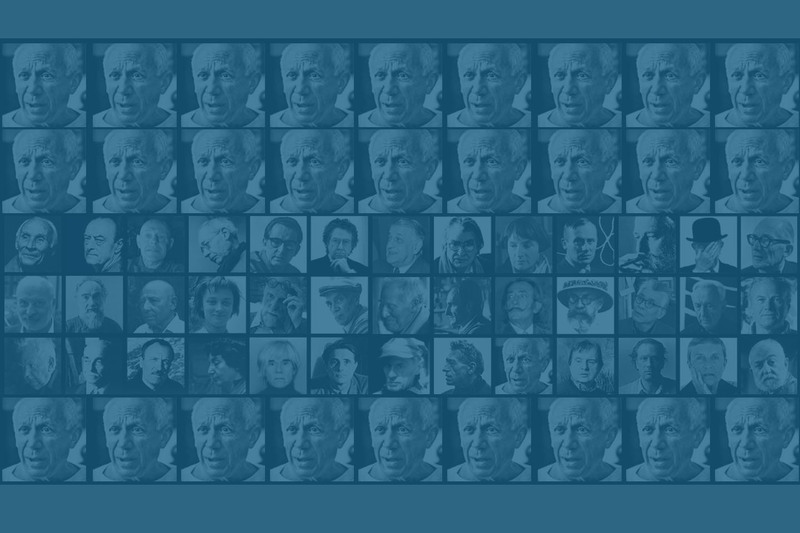 40 (full-page) plates of drawings by Pablo Picasso, drawn in a copy of the edition of "Buffon" which he gave to Dora Maar. 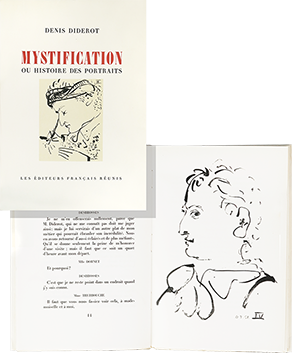 Edition : in total 2226 copies, here n° 1630 printed on Velin du Marais. 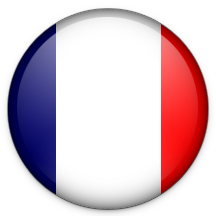 Reference : Cramer n° 84. 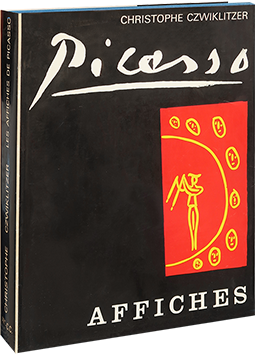 Condition : lightly worn slipcase and folder, otherwise very good condition.